Above: A double-wide mobile home that was lifted and wrapped around a tree by the EF4 tornado that struck Lee County, Alabama, on March 3, 2019. Image credit: Structural Extreme Event Reconnaissance Network. 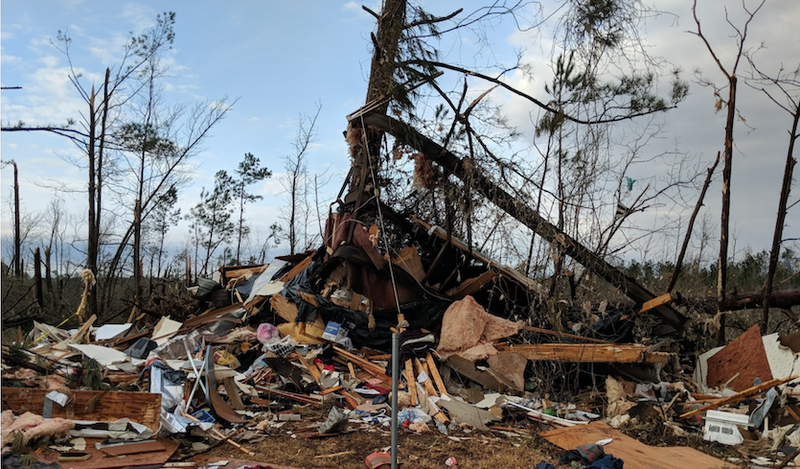 More than 80% of the people killed in a vicious EF4 tornado in southeast Alabama on March 3 were in manufactured homes, long recognized as very dangerous places to ride out a twister. Yet some of these structures might allow people to survive weaker tornadoes if they incorporate a simple safety measure—one that’s mandated by law but was found to be absent or insufficient in every home where a fatality occurred in the March 3 event. Anchoring is critical, according to engineers who analyzed the damage from the Alabama tornado. When a mobile or manufactured home is solidly anchored to a concrete foundation or to the ground, a strong tornado is less likely to demolish it by flinging and tossing the entire structure. A well-anchored home could still suffer severe damage, but it may give the occupant a better chance of surviving the tornado. An analysis led by engineer David Roueche (Auburn University) found that 19 of the 23 deaths on March 3—all of them in Lee County, Alabama—were associated with manufactured homes, as opposed to site-built homes. All of these homes either lacked ground anchors entirely, had degraded anchors, or had anchorage systems that did not appear to meet state code, according to a March 27 report issued by the Auburn-led Structural Extreme Event Reconnaissance Network. Of the other four deaths, three occurred in a destroyed modular home that was “resting on unreinforced masonry block with no evidence of positive anchorage to resist uplift,” according to the report. In a number of U.S. states, more than 10% of all housing units are MHs. In four states—South Carolina, New Mexico, West Virginia, and Mississippi—the percentage tops 15%, according to the 2013 survey. Even taking into account their widespread use in tornado-prone areas, MHs account for a highly disproportionate share of tornado fatalities. From 1985 to 2017, about 39% of all tornado-related fatalities (872 of 2248 deaths) occurred in association with mobile and manufactured homes, according to a 2018 analysis in Weather, Climate, and Society by Stephen Strader (Villanova University) and Walker Ashley (Northern Illinois University). Put another way, MHs represent only about 6% of U.S. housing units, but they accounted for 54% of all housing-related tornado deaths (1603) from 1985 to 2017, according to Strader and Ashley. The latter percentage would be even higher if we omitted 2011, a year with several violent tornadoes that ravaged all types of housing. Figure 1. 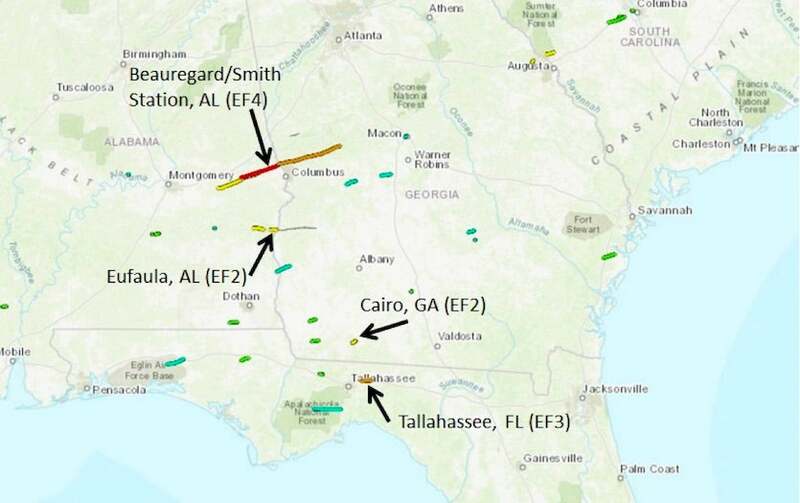 Locations of tornado tracks from the March 3, 2019, outbreak. Researchers from the Structural Extreme Event Reconnaissance Network were deployed at the four locations labeled on the map. Image credit: StEER. The March disaster arrived during the fourth spring of the VORTEX-SE experiment, a comprehensive ongoing study of the physical and societal factors that drive tornado risk in the Southeast. 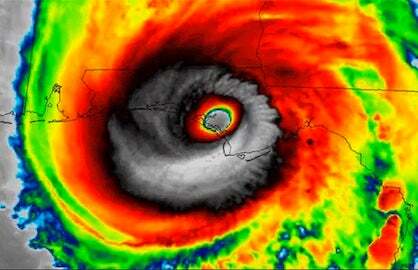 VORTEX-SE is led by NOAA’s National Severe Storms Laboratory. The March 3 tornado is the deadliest to occur in the VORTEX-SE domain (and anywhere in the nation) since the study was launched, so it’s prompted intense interest among the scientists involved. As lead investigator on a VORTEX-SE project that includes Roueche and other collaborators, Strader has been analyzing MH living patterns and their relationship to tornado damage. It’s a full-circle project for Strader, whose interest in tornadoes was sparked during his youth by an EF3 twister that killed 20 people in a mobile home park in Evansville, Indiana, on November 6, 2005. 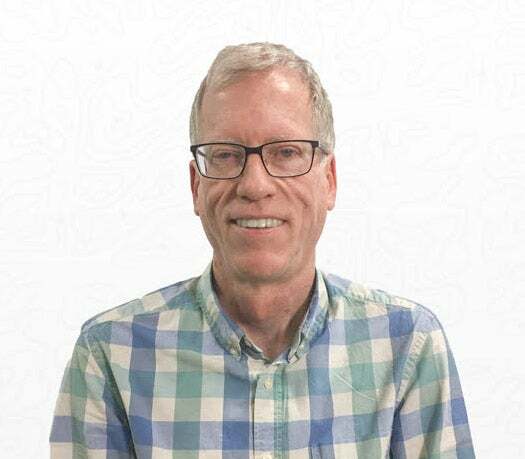 Using satellite imagery, Google Maps Street View, and a variety of other methods, Strader spent several months mapping out the locations of thousands of MHs across Kansas and Alabama. The results are detailed in the 2017 paper by Strader and Ashley mentioned above. Figure 2. Locations of mobile/manufactured homes and permanent homes within the part of the EF4 portion of the tornado that ravaged Lee County, Alabama, on March 3, 2019. Image credit: Stephen Strader. 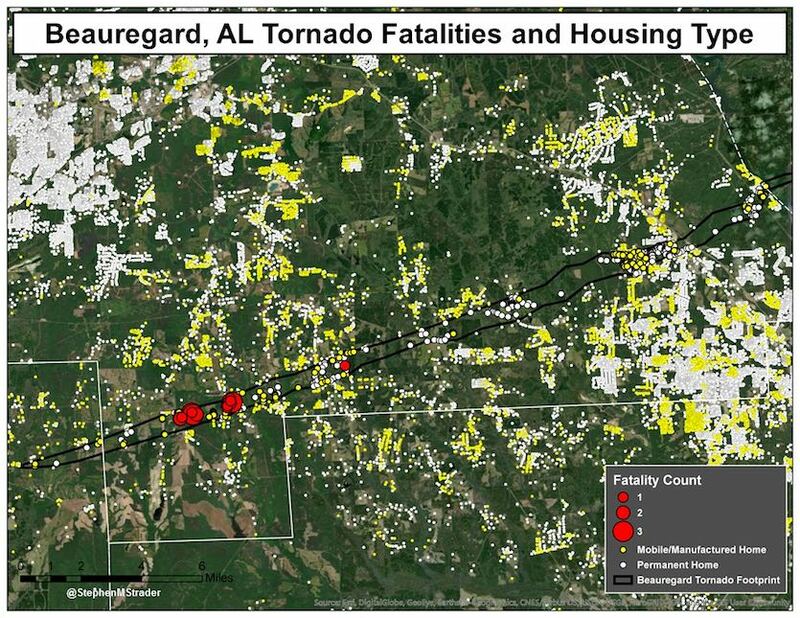 Strader’s initial estimates showed that in the EF4-rated portion of the tornado path, there were 169 mobile/manufactured homes and 350 site-built homes. 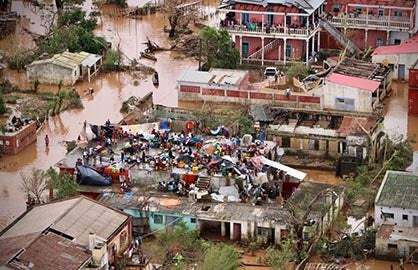 Yet more than 80% of the deaths were in MH homes, which made up about a third of the homes affected by the tornado. What’s more, each of the manufactured homes with fatalities was built after the 1976 HUD requirements that called for proper anchoring. In fact, the average year of construction for these homes was 2000. Figure 3. 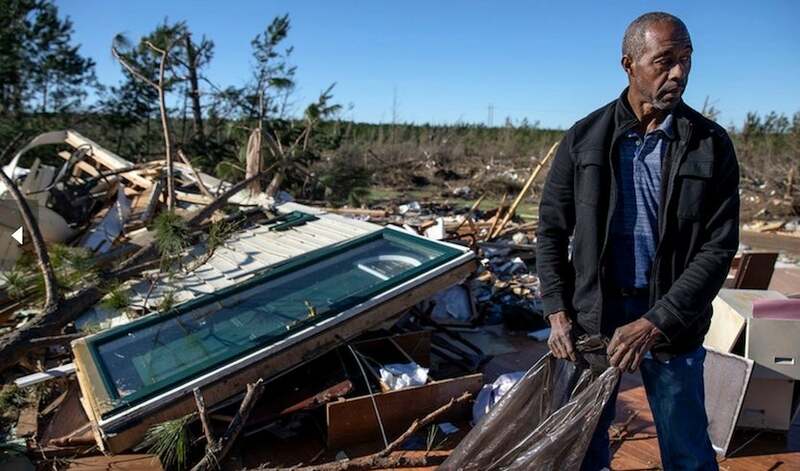 On Tuesday, March 5, 2019, in Beauregard, Alabama, Richard Tate retrieves personal items from what's left of his home, where he survived a tornado with his wife on March 3. 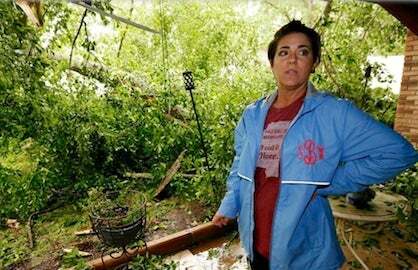 Tate lost a sister, brother-in-law, nephew, and uncle in the storm, all of whom lived nearby. "I'm lucky to be alive," said Tate. "It could have taken all of us the way it was moving." Image credit: AP Photo/David Goldman. A new paradigm for manufactured home safety? Traditionally, MH homes have been viewed in an all-or-nothing fashion when it comes to tornado safety. Since even an EF1 tornado can push over and/or dismantle a poorly constructed and poorly anchored MH, the assumption has been that people should just leave. For a variety of reasons, though, not every MH home occupant has the time or ability to get to adequate shelter. Interviews by VORTEX-SE scientists suggest that most Lee County residents knew of the day’s tornado risk, but waited for confirmation of an imminent threat before heading for shelter. Given that at least some MHs may be struck while occupied, researchers are beginning to ask how the odds of survivability can be raised. The idea isn’t to encourage people to stay in a mobile or manufactured home during a tornado threat, but to reduce the odds that the decision will prove deadly. “The important thing is choosing how we fail,” says Roueche, who himself grew up in a mobile home. “What I’m seeing right now, and this is horrifying me to think about, suggests that a lot of mobile homes are failing catastrophically—falling apart—before the tornado even gets there. It could be very possible that as a tornado is approaching, these homes are getting lofted or tossed or completely demolished, and then the person has to withstand the rest of the tornado with basically no shelter. Anchoring may be the weakest link in regulations to make manufactured homes as wind-safe as possible. Since anchoring is an after-the-sale process that adds to the total housing cost, there is little incentive for manufacturers or salespeople to advocate for it. Federal code requires new MHs to include at least one provision for anchorage, but it’s up to the MH installer (which may be the consumer) to take care of the anchoring, and it’s up to local authorities to make sure it’s done properly. Moreover, there’s no system to ensure that anchors remain intact and functional, even though they can easily corrode over the course of years, as observed in several of the March 3 homes with fatalities. An online fact sheet from the Manufactured Housing Institute, the industry's leading trade group, notes the need for anchoring, but claims in its headline that “Manufactured Homes are as Safe as Traditional Homes During a Storm.” Rouche would like to see the industry step up and advocate more forcefully for anchorage. "I don’t like how they decouple that problem and say it’s all up to the installer. It’s still their industry, and they need to be taking responsibility for that if they’re going to claim that manufactured homes as a whole are as safe as traditional homes." Figure 4. 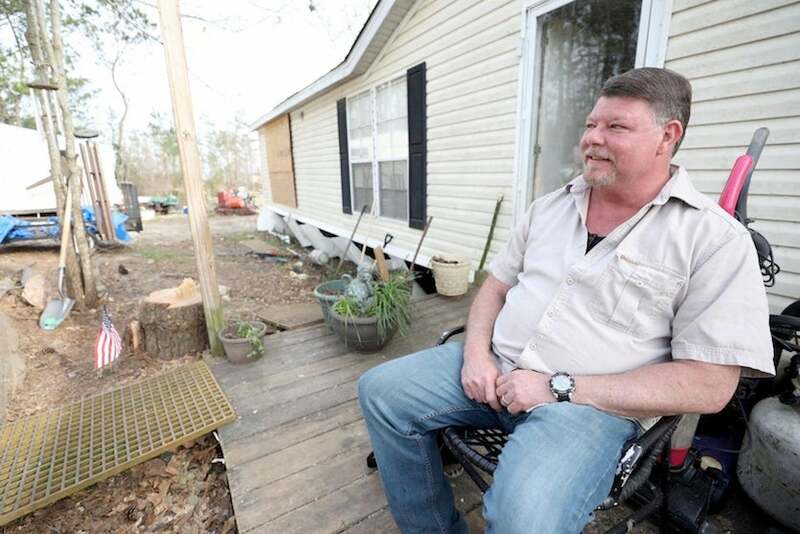 Lee County Road 721 resident David Kelley sits on his front porch on Wednesday, March 14, 2019. In the back, a window is boarded where it was additionally damaged by possible looters on March 4, a day after a tornado swept through Lee County. Image credit: Emily Enfinger, courtesy Opelika-Auburn News. One of the dedicated group of folks who have moderated Category 6 comments for years—David Kelley (“Auburn”)—found himself, his family, and his trucked-in modular home directly in the path of the Lee County tornado on March 3. Despite the use of pier-to-frame tiedowns rather than ground anchors, Kelley's home survived, perhaps in part because it was toward the left edge of the tornado path. “From the time my son’s phone went off, we had 4.5 mins to find where to go. We decided on a bathroom and got into the tub. After it was over, we went outside to the sound of people screaming for help and to destruction that looked like a war zone. We found one of my neighbors 300 feet from where his home once stood, and we were with him when he took his last breath." Thanks to a fundraising page he created via hurriup.org, longtime WU member Patrick Pearson (Patrap) has raised enough funds for David and his family to acquire a below-ground six-person storm shelter.